Get ready to sip in some Zen. Gen Sou En, the area’s first modern Japanese tea house, opens in Brookline on Wednesday, Feb. 21. The sprawling Coolidge Corner café specializes in meticulously prepared green tea, including matcha, from its Japanese parent company, Harada Tea. It’ll be offered in myriad forms, including three custom green tea blends: umami (mellow, smooth), kokimi (deep, complex), and shibumi (sharp, intense). Matcha, meanwhile, will be served in custom bowls made by Portland, Maine, ceramicist Adrian King, and blended into matcha sodas, lattes, and baked goods. Sake cups, Japanese beer, and locally roasted coffee are also on the menu. 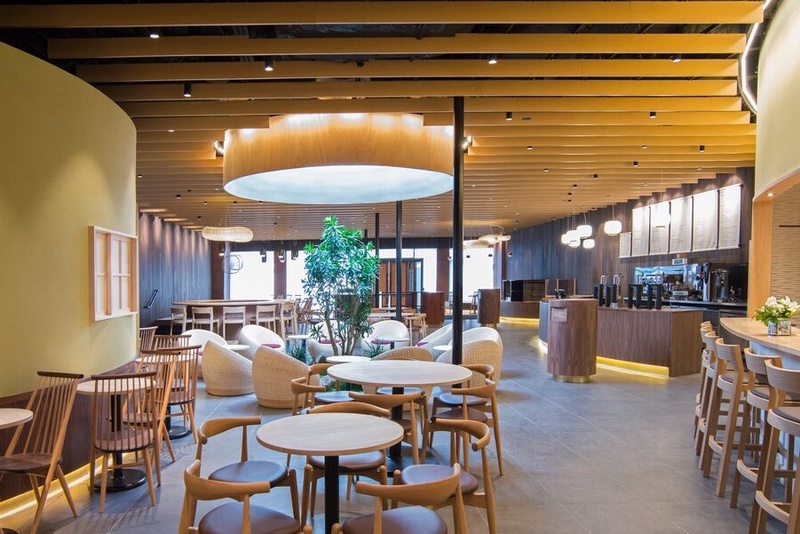 The project is the 100-year-old Harada Tea Company’s first-ever café. Haruo Abe, who oversees the brand’s American branch, says he hopes to eventually replicate the concept in other locations. “Something that we really want to emphasize is omotenashi, Japanese hospitality,” Abe says. So he’s brought in two industry vets to help. Joe Cammarata, former bar manager at Hojoko, and Backbar owner Sam Treadway have signed on as general manager and assistant general manager, respectively. “It was a unique experience to help create something from the beginning,” Cammarata says. “To be able to bring the nighttime hospitality that we grew to expect in craft cocktail bars to a more fast-casual setting was a really interesting challenge and change of pace for me,” he says. Gen Sou En will also serve breakfast, lunch, and dinner, with options including handrolls, bento sets, and tempura. And there will be sweets. Yozo Masuyama, formerly of Clear Flour Bread, has joined the team as head baker. He’ll be turning out bread for katsu sandwiches, Japanese-style cheesecakes, and other desserts that pair well with green tea. 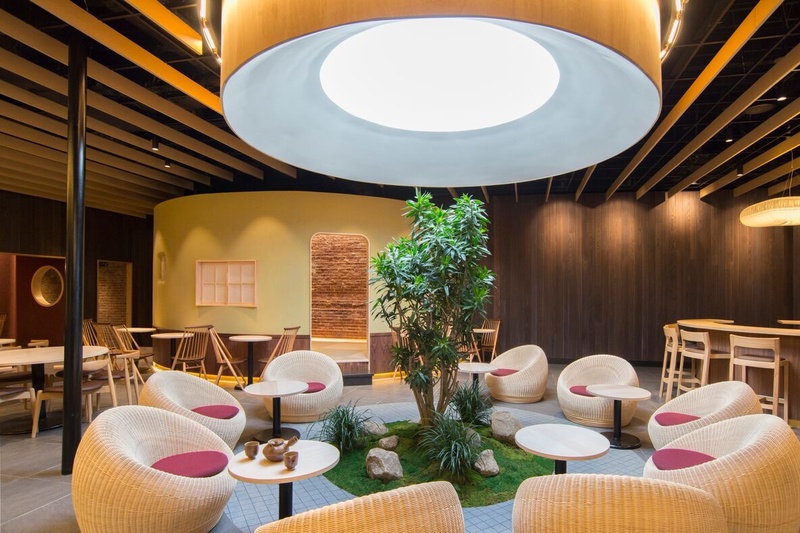 The 125-seat space is outfitted with a live walnut tree placed below a skylight and tatami mats, on which guests can sprawl out on and relax, Abe says. Plans are in the works to eventually offer classes and events, including sake tastings and traditional Japanese tea ceremonies. Opens February 21 at 10 a.m, 299 Harvard St., Brookline, 617-505-6745, gensouenteahouse.com.